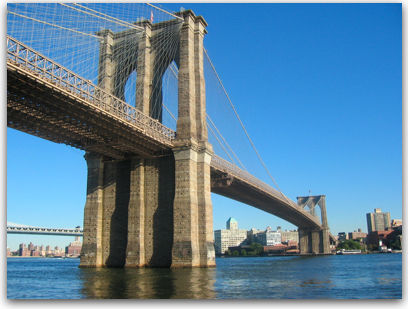 Annie and I lived on the Brooklyn Bridge at the top of one of the towers. Though a Facebook Event, we were invited to play in a two person soccer tournament. Annie and I signed up and made it to the final four. Our semi final game was against a very skilled, but annoyingly egotistical duo of two guys. The field was very long, but only as narrow as a two lane road. After half, the scored was still 0-0. The egotistical dudes finally scored their first goal in the second half off a hand ball by me in the box. With ten minutes left I had a break away and dribbled the apple and orange, which is what we used instead of a soccer ball, toward their goal. With one kick I put both 'balls' in their goal which put us in the lead 2-1! While running back to our side I blinked and found myself back on the top of the Brooklyn Bridge looking at my computer screen. The only way to get back to the game was through the Facebook Event page. Frantically, I navigated toward the Event page only to blink again and wake up...The end.